This is an illustration from inside our new children's book! The book is aimed at helping children deal with anxiety - a common problem that many children in our fast-paced society face these days. I acted as an advisor on the helpful exercises that were included in the story, and also wrote the guidance section for parents. 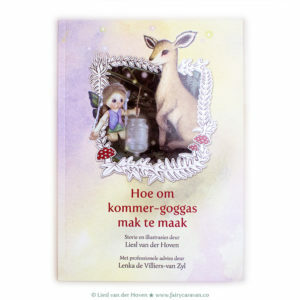 The story and illustrations were created by Liesl van der Hoven. This story is ideal for children between 4 and 9 years old. Stories are a wonderful way in which to help children process challenges they are faced with on a daily basis. Through my friendship and collaboration with an artist and children's book writer and illustrator, this wonderful book is now available at my practice. The first children's book that Liesl van der Hoven has written and illustrated, is about anxiety. I provided professional guidance on this project, and wrote the guidance section for parents that you will find at the back of the book. We are planning many more books together to help children with a variety of challenges. Ons boek is ook in Afrikaans beskikbaar! Click on the language of your choice below to order your copy of our book today! Or sign up for our newsletter to stay updated about our latest adventures! 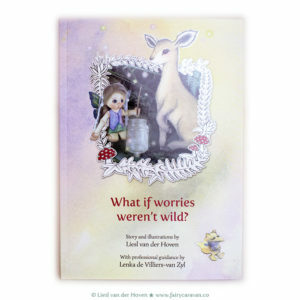 Children’s book about Anxiety: What if worries weren’t wild?